You are going to Watch Naruto Shippuden Episode 168 English dubbed online free episodes with HQ / high quality. Stream Anime Naruto Shippuden Episode 168 Online English dub The Fourth Hokage. Minato appears within Naruto’s psyche and reveals that Tobi was the one behind the Nine-Tails’ attack on the village 16 years ago, theorizing that he’s just using Pain for himself. 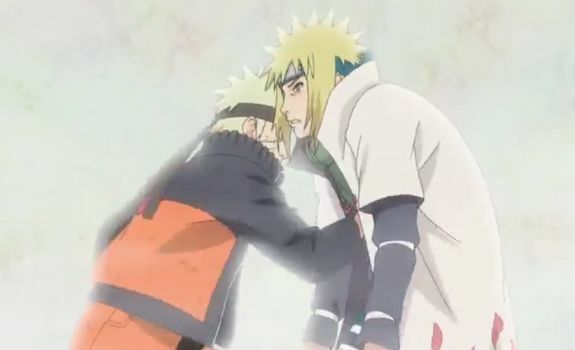 He re-activates Naruto’s seal to suppress the fox’s chakra, and leaves, placing his faith in his son. Naruto confronts Deva Path and manages to find Nagato through his Sage Mode. They fight again and Naruto breaks through his Shinra Tensei to launch a final Rasengan at Pain, overcoming his 5 second time limit. It connects.